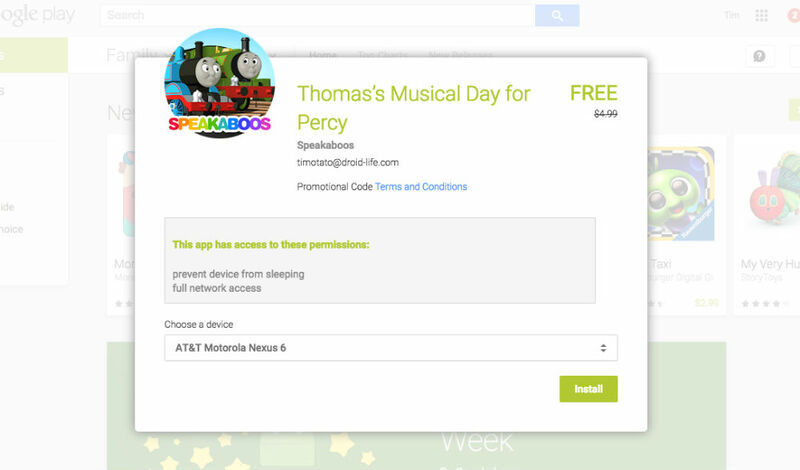 Over on Google Play, Speakaboo’s family-friendly Thomas’s Musical Day for Percy is available for free, regularly priced at $5. The app is an interactive read-along for children, introducing them to one of the world’s most famous trains, Thomas the Tank Engine. Young readers join Thomas as he explores the sights and sounds around Sodor to put on a special surprise music show with Percy, who has broken his whistle. Sad times. The story combines animation, read-along text, and touch-screen interactions to improve reading comprehension. Do note, if you follow the Play Store link below, the app will show as $4.99. To get it for free, follow the Redeem Link listed below.